ACA Declared Unconstitutional: Now What? 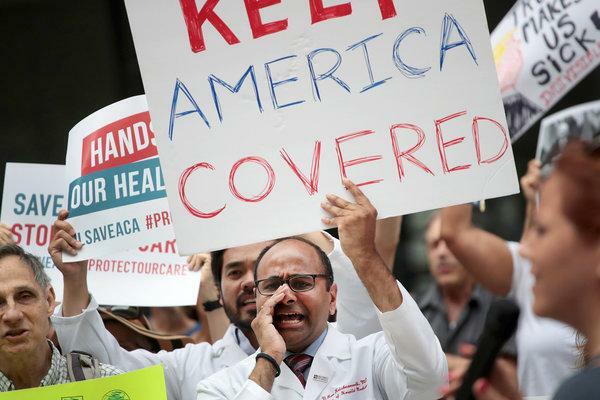 In another example of how cruel and inhumane the radical Conservative/Libertarian Republican Party has been regarding health care, a Federal judge in Texas late Friday, struck down the Affordable Care Act as unconstitutional. The judge, Reed O’Connor, appointed by George W. Bush, struck down the law on the grounds that its mandates requiring people to buy health insurance is unconstitutional and the rest of the law cannot stand without it, as reported yesterday in the New York Times. According to the Times article, the ruling was over a lawsuit filed earlier this year by a group of Republican governors and state attorneys general. States led by Democrats promised to appeal the decision, which will not have immediate effect. However, the Times reports, it will make its way to the Supreme Court, where the survival of the law and the health of millions of Americans will be in doubt. Judge O’Connor said, the Times quoted, that the individual mandate requiring people to have health insurance “can no longer be sustained as an exercise of Congress’s tax power.” In addition, the judge said, “the individual mandate is unconstitutional” and that the remaining provisions of the ACA are invalid. The main issue, pointed out in the Times piece, was whether the law’s mandate still compelled people to buy coverage after Congress zeroed out the penalty as part of the tax overhaul this year. 20 states, led by Texas, argued that with the penalty zeroed out, the mandate had become unconstitutional, and that the rest of the law could not be severed from it, the Times wrote. The Justice Department under former Attorney General Sessions, declined not to defend just the individual mandate, but the pre-existing conditions provision as well. A spokesman for California attorney general Xavier Becerra said that California, and other defendant states, would challenge the ruling with an appeal in the US Court of Appeals for the Fifth Circuit in New Orleans. Meaning that the American “health care system” can only be a private insurance-based system that allows companies to profit off some people’s health, or lack thereof. He is upholding the “right” of insurance companies, drug companies, medical device manufacturers, and others to profit at our expense and to play with the lives of millions of Americans who will lose what coverage the ACA gave them. This also means, that any attempt to enact Medicare for All/single payer health care will result, at some future date, to a judge or court striking it down as unconstitutional. Simply put, Conservative jurisprudence believes that the Constitution enshrines free-market health care. In other words, Mr. Paxton wants the American health care system to stay where it is, so long as companies can make money from it. • If the judge’s decision stands, about 17 million Americans will lose their health insurance, according to the Urban Institute. This includes millions who gained coverage through Medicaid expansion, and millions more who receive subsidized private insurance through the ACA marketplaces. This last takeaway was front and center of the Democrats midterm campaigns, and while most Republicans insisted that they did not want to withdraw those protections, the article reported that most were silent after the ruling. Without those protections, insurers could deny coverage to such people or charge them more; they could also return to charging them based on age, gender or profession, according to the Times. The Kaiser Family Foundation, the Times noted, estimated that 53 million adults from 18 to 64 — 27 percent of that population would be rejected for coverage under practices in effect before the ACA. Larry Levitt, senior vice president of the Kaiser Family Foundation wrote on Twitter, “If this Texas decision on the ACA is upheld, it would throw the individual insurance market and the whole health care system into complete chaos…But the case still has a long legal road to travel before that’s an immediate threat,” the Times quoted. Healthcare Dive.com, in reporting Friday about the decision, wrote that a decision had been waiting in the wings since September, when the Justice Department asked Judge O’Connor to wait until the individual market’s open enrollment period ended, which was also a convenient time for Republicans running in the midterms. Healthcare Dive.com also stated that the decision would be appealed to the conservative Fifth Circuit, and possibly to the Supreme Court, where advocates worry that it will be struck down. Providers such as the American Hospital Association (AHA) and American Medical Association (AMA) urged a stay until a higher court could take it up. One state not a part of the defendants was Maryland, according to Healthcare Dive.com. Maryland’s Democratic Attorney General, Brian Frosh, brought its own case seeking a reaffirmation of the ACA’s constitutionality. Attorney General Frosh argued that Maryland residents who became insured under the ACA would be harmed if the law was unconstitutional or eliminated. About 150,000 people in Maryland gained insurance through the ACA marketplace in 2018, and more than 300,000 are insured through the state’s expanded Medicaid program. The Maryland case is still ongoing. In the short-term, nothing will change, as mentioned in the two articles above. However, in the long-term, there will be serious consequences, just as Larry Levitt said on Twitter Friday. But more importantly than chaos in the insurance market and health care system, millions of Americans will once again be at the mercy of insurance companies, be denied coverage for pre-existing conditions, including pregnancy, cancer, and a whole host of illnesses, be denied life-saving drugs, or rejected for surgeries, etc. And among those millions, many will die needlessly because of the greed of the insurance companies and the actions of a Cowboy judge. Allow me to put on a different hat here and offer an opinion as to what may transpire in the future, since none of us are clairvoyant. 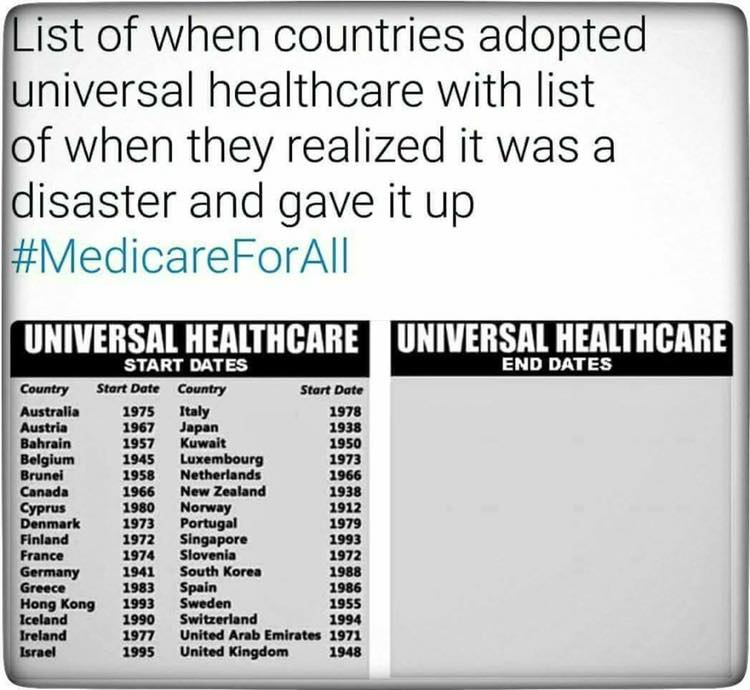 As someone who studied both American history and American government and politics, in my opinion, we will not see universal health care in this country unless and until, to use a medical metaphor, this Conservative/Economic Libertarian virus is eradicated from the American political system, or at least is brought under control. I do not say this lightly, nor am I being flippant here. Let’s face facts. The Republican Party stands in the way of the adoption of rational, universal health care for all Americans because they are the defenders of a rapacious, greedy Capitalist health care system that demands that investors, shareholders, insurers, manufacturers, and service providers and consultants, be allowed to profit by the health and welfare of the American people. However, as also reported in the New York Times on Sunday, the ACA could be hard to knock down, despite the judge’s ruling, according to legal scholars quoted in the article. Yet as Ezra Klein writes in Vox.com, Republicans have refocused Democrats on building what they failed to build in 2010: a universal health care system simple enough and popular enough that it is safe from constant political and legal assault. And that means some version of Medicare-for-all. Democrats are promising swift action once they take over the House in a few weeks, so we wait and see how that will turn out. But on the other hand, as I have pointed out in previous posts, both those penned by myself, and those that I reposted from other sources, the medical-industrial complex is pushing back hard against any move to alter this broken system. Two recent posts, Healthcare Lobbying Group Double-Crossing Democratic Voters and Establishment looks to crush liberals on Medicare for All – POLITICO highlights the attempt by the health care industry to keep the status quo, or at least to convince Democratic politicians who might be opposed to full single payer health care, to offer alternatives that will allow the insurance companies to profit from providing coverage to only those who are not sick, which is called adverse selection. There are some people in this country who argue that what we need is not less competition in health care, but more. However, this misses the point. Whether or not there is more or less competition is not the reason why our health care system is broken. The reason why it is broken is because there is competition in the first place. No other Western country has this problem, and they all have some form of universal, single payer health care. So, the prognosis for the future of universal health care is cloudy, if not downright gloomy. Advocates for single payer, improved Medicare for All must take a sober hard look at reality and formulate a strategy to meet this new and regrettable challenge. And they must do so with a clear eye and mind on the realities of the political landscape, and not be lulled into thinking that just because polls indicate approval by voters, that enacting Medicare for All will be easy or accomplished quickly. We have enemies, and one of them is Reed O’Connor. This entry was posted in ACA, Affordable Care Act, Courts, Democrats, Health Care, Health Care Reform, Health Insurance, Health Policy, Individual mandates, individual market, Insurance, insurers, Justice Department, Medicaid Expansion, medical-industrial complex, Medicare for All, Pre-existing condition, Republicans, Single Payer, States, Supreme Court, Texas, Unconstitutional, Universal Health Care and tagged ACA, Affordable Care Act, Constitutionality, Federal judge, Health Care, Health Care Reform, Individual mandates, individual market, lawsuit, Medicare for All, Single Payer, Supreme Court, taxing, Texas, Unconstitutional on December 17, 2018 by Transforming Workers' Comp. Don McCanne outlines below some things the previous post, Universal healthcare could save America trillions: what’s holding us back? | Opinion | The Guardian left out. * It is irrefutable that a well designed, single payer Medicare for All program would meet our health reform goals of affordability, universality, equity, effectiveness and efficiency. * The barrier to reform is not financing since we are already spending enough to pay for such a system, especially once administrative efficiency is factored in. * Using taxes to pay for the system should not be a problem since our current public spending on government-financed health programs, on tax expenditures for employer-sponsored plans, and on the purchase of health care for public employees would already pay for much of the system, and the remaining taxes needed would be offset by the elimination of insurance premiums, deductibles and other cost sharing. * The fact that the taxes would be progressive would be a small step to help offset the egregious inequities in income that hold back too many of us who are contributing our fair share of effort to society while too often having to scrimp on essential needs. Tax policies should be used to adjust inequities that result in a select few being able to accumulate obscene levels of wealth – amounts far, far in excess of what their personal efforts contribute to society. They will not suffer from a very modest reduction in their excesses. * The primary barrier to reform is political. Although Adam Gaffney says, “Good numbers do not a political movement make,” they sure do help. Advocacy is much easier when the facts are on the side of the people. So let’s all get out and nurture that political movement that we need. The policy fight should be over. It is a political battle that we now face. This entry was posted in Medicare for All, Single Payer, Universal Health Care and tagged Health Care, Health Care Costs, Health Care Reform, Medicare for All, Single Payer on December 12, 2018 by Transforming Workers' Comp. More fuel to the fire on single payer from The Guardian, as a follow-up to my two previous posts on the subject, Healthcare Lobbying Group Double-Crossing Democratic Voters and Establishment looks to crush liberals on Medicare for All – POLITICO. This entry was posted in Access to care, Health Care, Health Care Costs, Health Care Reform, Health Care Spending, Health Insurance, Health Policy, Medicare for All, Single Payer, Universal Health Care and tagged Costs, Health Care, Health Care Reform, Medicare for All, Single Payer on December 12, 2018 by Transforming Workers' Comp.